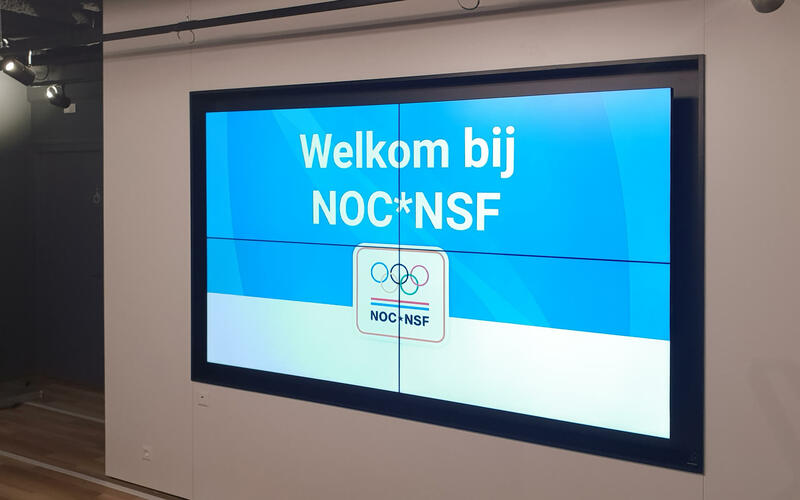 Sport is passion, sport is fraternizing, sport is healthy. 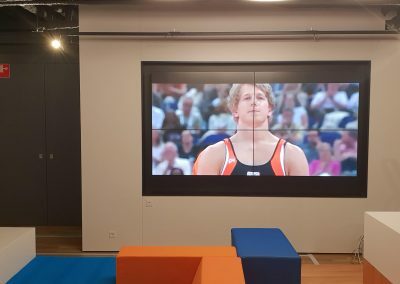 And how can this be better represented with photos and videos on a beautiful video wall in the entrance hall installed by CRJ? 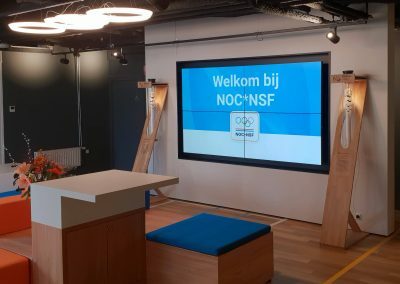 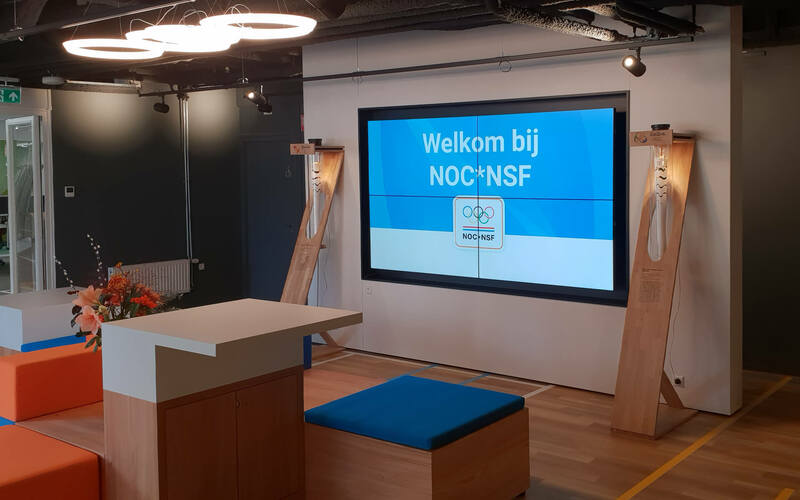 The NOC * NSF is a Dutch sports organization with the aim of promoting sport in the Netherlands. 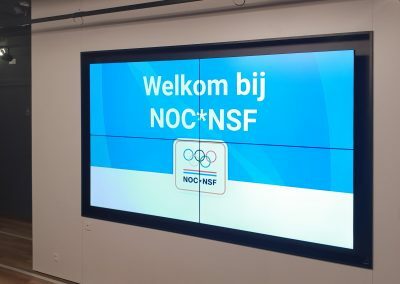 And such an organization naturally needs an Olympic-worthy video wall. 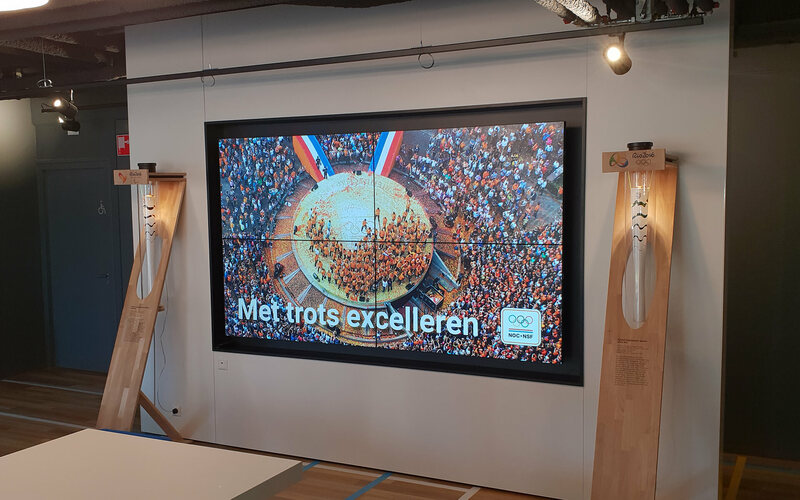 CRJ Audio Visueel was able to install this on behalf of Samsung Business Center in Papendal. 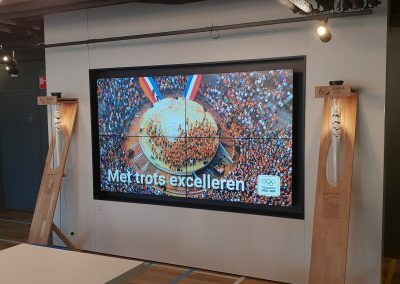 In addition to the video wall, various trolleys have also been supplied. These are easy to move through the entire complex and can therefore be used anywhere.